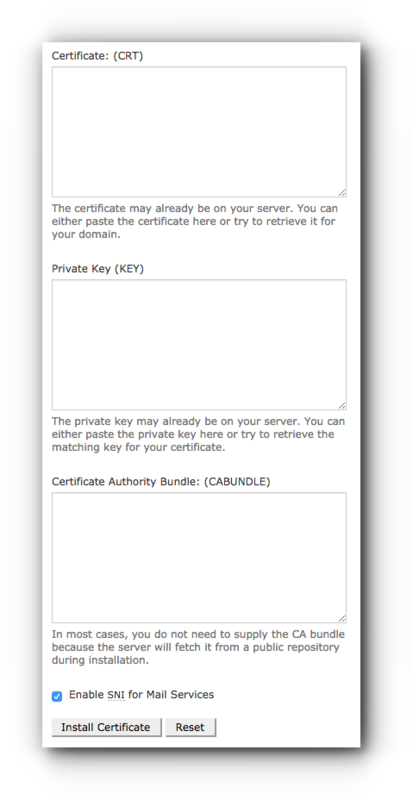 Home/Knowledge Base/SSL/Is SSL certificate included in my package? SSL certificate is included in all Business Hosting packages. For other hosting packages, you may purchase this as an additional feature. Registered Email address must be used in sending the email. Note: We need to check where the domain name is hosted. Please also check information about SSL from Vodien for external hosting. If the domain name is hosted with Vodien and you may want to install it yourself, you may follow the instructions below. Generate CSR first and then proceed to the installation process. Step 2. 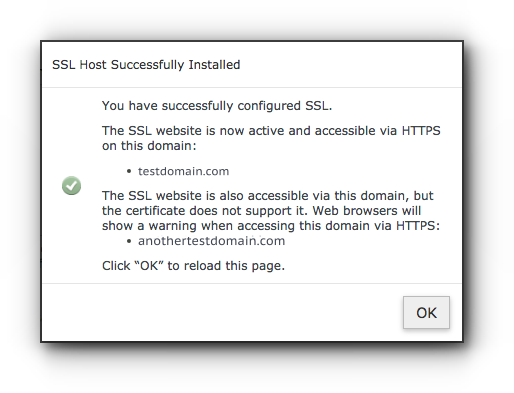 Click on SSL/TLS under Security panel. Step 3. 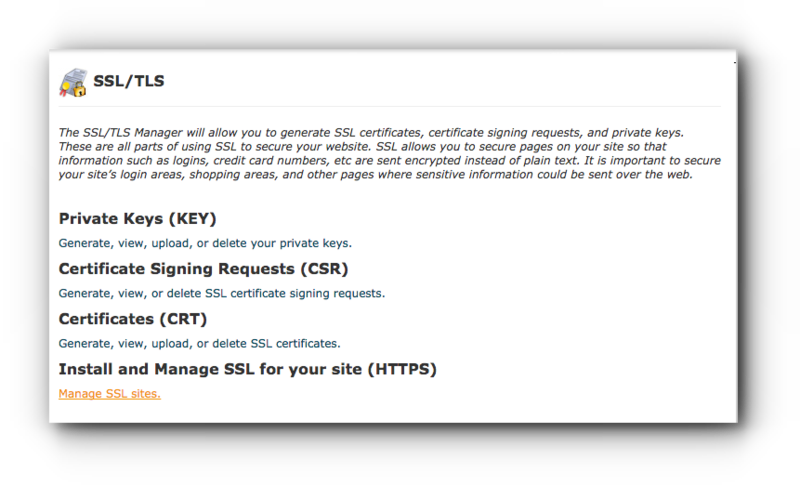 Click on Manage SSL sites link. Step 4. Select your domain name. Step 5. Enter the CSR that you have generated and Private Key. Make sure that you have entered the right code. Step 6. Click on Install Certificate button. Step 7. 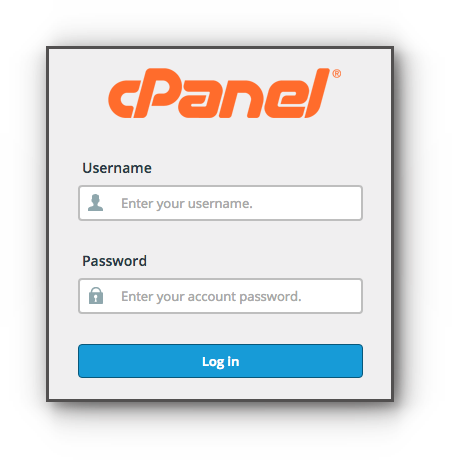 Click on OK button to reload the page and it should show you details about the domain name and the installation of the certificate.